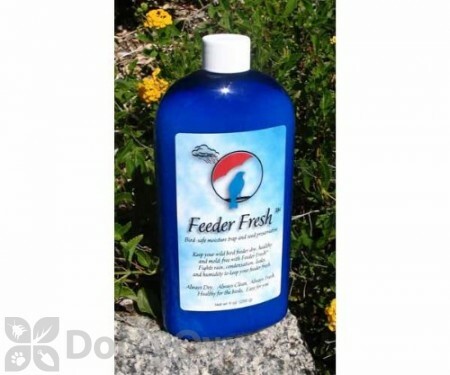 The Sapphire Labs Bird Feeder Fresh Cleaner 9 oz. (SLFF) is a bird feeder cleaner that stops mold before it forms on your feeders. Feeder fresh helps eliminate moisture from the inside while keeping the bird seeds you offer fresh and ready to eat. 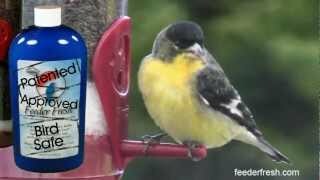 It helps you clean your bird feeder easy, no need to waste more time cleaning your molded feeder than watching wild birds enjoy their food. This product is proven safe, contains no chemical and is made purely from essential minerals that birds naturally consume. The granules will grab the moisture and will keep it locked and will not create any molds on your feeder. Can be applied directly to the bird feeder.